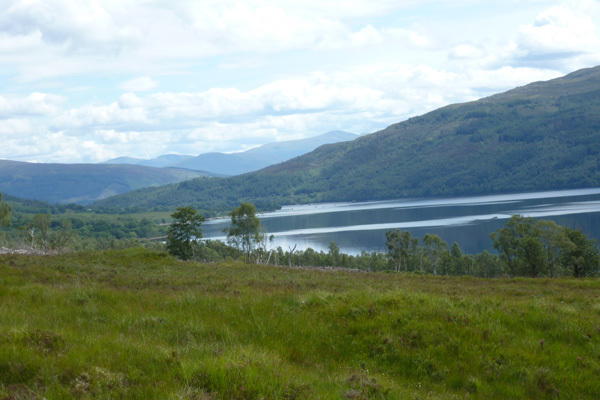 Alt Mhuic Butterfly Reserve is a small reserve on the north shores of Loch Arkaig in Lochaber consisting of grassland, heath and deciduous woodland, flanked by coniferous plantation. 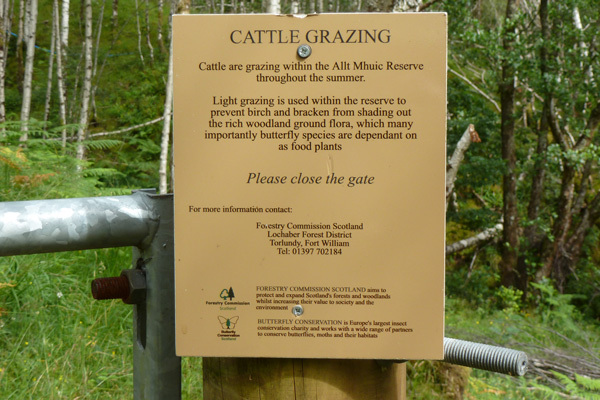 It is a good place to see the rare,chequered skipper, a UK BAP Priority butterfly species, found only in Scotland, and restricted to within a 30-mile radius of Fort William. 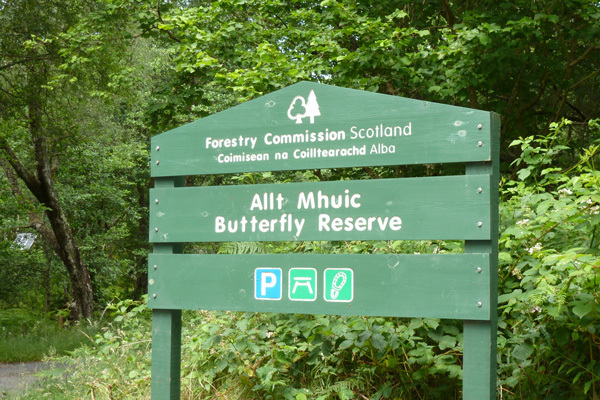 The reserve is managed jointly for the conservation of butterflies by the Forestry Commission and the Butterfly Conservation. As well as the chequered skipper, the site supports a range of butterfly species including other UK BAP Priority species, such as the pearl-bordered fritillary, small pearl-bordered fritillary and the small and large heath. Other species recorded on site are the dark green fritillary, Scotch argus, meadow brown, orange tip, green hairstreak and common blue. Moths include the grey scalloped bar (Dyscia fagaria), and the day flying, UK BAP Priority species, Argent & Sable (Rheumaptera hastate) and narrow-bordered Bee Hawk-moth (Hemaris tityus). The latter resembles a bumblebee and is restricted to damp and marshy woodland western Britain. 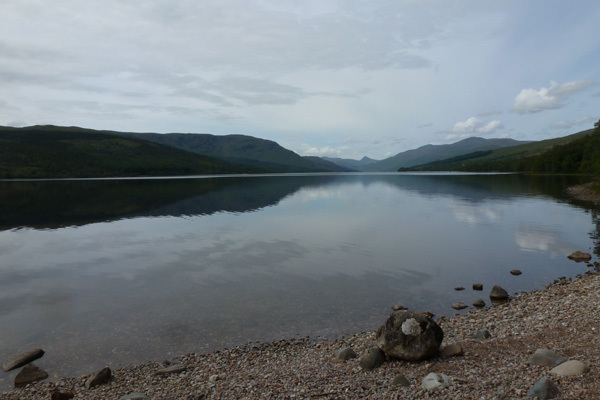 Look out for a range of woodland birds, including flycatchers and warblers, as well as the tracks and signs of pine marten. 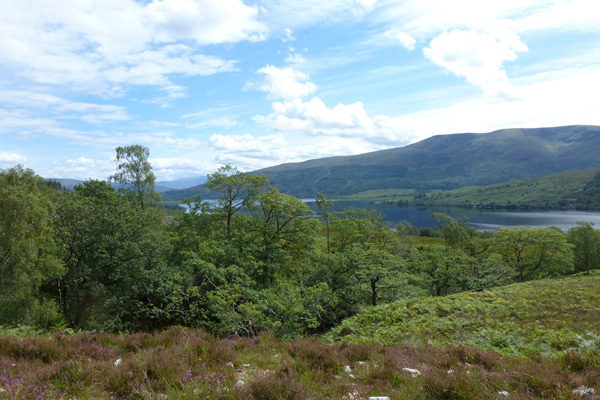 Look out for raptors and corvids over the hills and heathland. 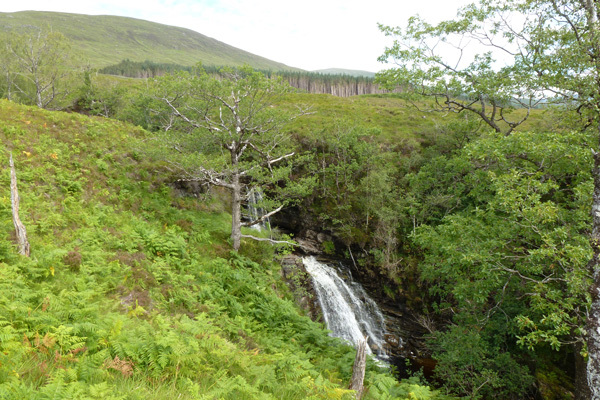 If you are lucky you may see an dipper or otter in the burn or on Loch Arkaig. Along the sheltered streamside, look out for the Azure Hawker, a dragonfly restricted to Scotland in the UK. The grassland supports a diversity of flowering plants, including eyebright (Euphrasia agg. ), milkwort (Polygala vulgaris), tormentil (Potentilla erecta), devils-bit scabious (Succisa pratensis) and common cowheat (Melampyrum pratense). 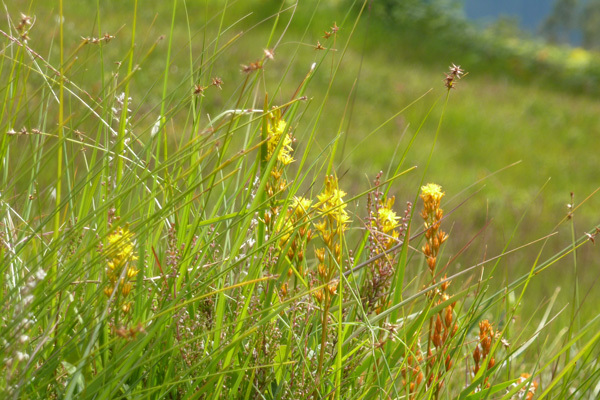 The heath consists of heather (Calluna vulgaris),and bell heather (Erica cinerea), with lousewort (Pedicularis sylvatica),, cross-leaved bell heather (Erica tetralix), cotton grass (Eriophorum angustifolium), bog myrtle (Myrica gale), bog asphodel (Narthecium ossifragum) , insectivorous sundews (Drosera spp), Juncus species and Carex species in the wetter areas. There are several orchid species on the reserve, including Lesser Twayblade, (Neottia cordata) Fragrant orchid (Gymnadenia conopsea), Heath spotted orchid (Dactylorhiza maculata). The mixed woodland consists of some fine specimens of oak, birch, alder, rowan, and hazel many cloaked in lichens and bryophytes. Look out for the large Wood Ant nests. The reserve is best visited in early summer to afford a good chance of seeing the chequered skipper on the wing feeding on mainly bluebell and bugle. 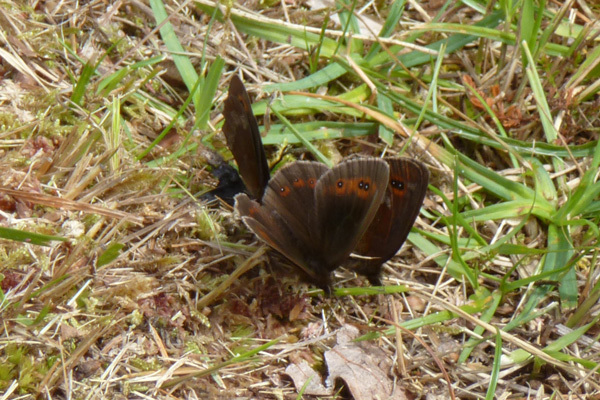 Scotch Argus and meadow browns are particularly noticeable in midsummer feeding on heather (Calluna vulgaris, Erica spp), devil's-bit scabious (Succisa pratensis) and knapweed (Centaurea spp). 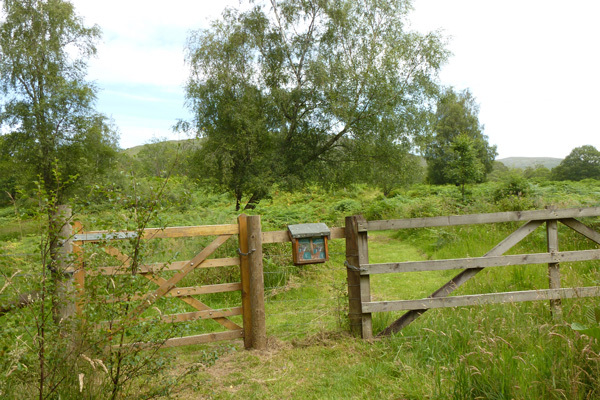 There is a short pleasant walk through the reserve with good opportunities for butterfly watching in the grassland sections. 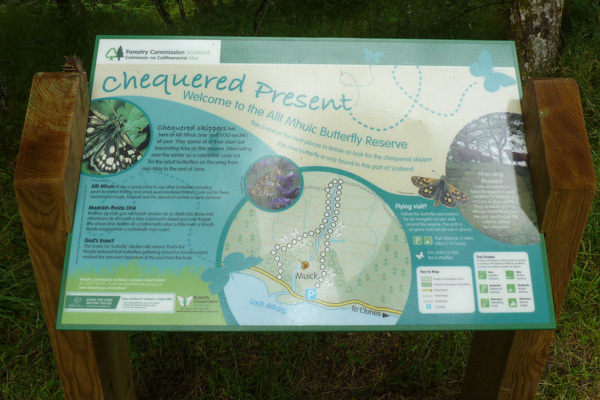 An interpretation board and accompanying leaflet provides an introduction to the reserve.